What a year it’s been to be a Quest fan: The announcement of three new flavors of Quest Bars, Quest Labs and Quest Keto all happened in 2016. And the company who makes America’s Favorite Protein Bar is returning to their chocolate roots with the release of the Rocky Road Quest Bar. Look to get your chocolate, nut and marshmallow fix from GNC, Vitamin Shoppe, Bodybuilding.com and questnutrition.com on November 1st. When Quest pulled the bar from Quest Labs, their testing ground for new products, fans weren’t happy thinking their new favorite bar was no more. 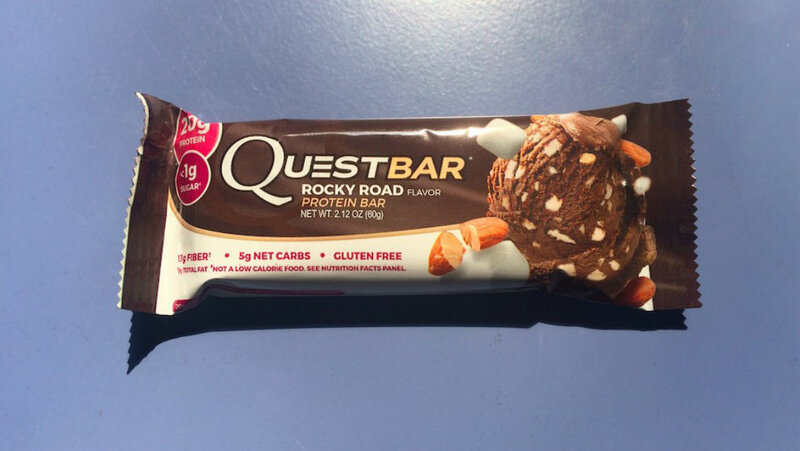 In fact, several fans took to the Quest Labs forums in protest, claiming, “Rocky Road was my favorite!” and hoping Quest would “release Rocky Road to the public soon.” Looks like Quest was listening. The wait is almost over, starting November 1st protein bar fans can literally #ChooseTheRockyRoad at a local GNC, Vitamin Shoppe and from the Quest Nutrition website. Sources at Quest let us know that they’re packing in something special for all orders placed in November…something sweet. Wonder what it could be? !